The United Kingdom’s recent triggering of Article 50 will resonate far beyond the European bloc; with Latin America no exception to feeling the extraction’s sway. Consequences for the Americas, cautions Trade Pacts Latin America expert Dr Fernando González-Rojas, “could be serious”. Dr González-Rojas was speaking during a two-day seminar in Buenos Aires on the future of the European Union and the impact on trade with Latin America. Attendees, mostly Argentinian diplomats, were trained on several key issues related to international trade and economic integration. “Already, the UK’s separation from the EU has had, and will continue to have, a notable impact on investment expectations and trade well beyond Europe’s shores,” said Dr González-Rojas, who underscored several areas of change that the UK’s decision to stand alone may bring to trade negotiations with Latin America nations, including the sub-regional bloc of Mercosur (Argentina, Paraguay, Brazil, Uruguay, and Venezuela as observer). The seminar in Argentina set about helping identify opportunities and risks for attendees – many of whom are likely to be in charge of forging relationships between the Mercosur, the EU and the UK in the near future. “It’s crucial that Latin America countries, especially those that have capitalised on trade relations with Europe, begin immediately to invest sufficient time and resources to adequately prepare for possible scenarios that may ensue during this formalisation of the UK’s departure,” said Dr González-Rojas. Don’t procrastinate. 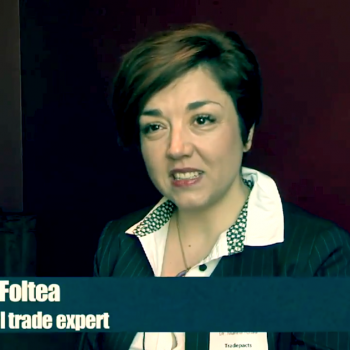 Let Trade Pacts and its team of international trade experts help you prepare, succeed in the face of austerity. The team provides Latin America governments and exporters effective and affordable advice; shielding their interests in the face of a mutable Europe. Visit Trade Pacts’ up-to-date website for details or join the team on Twitter.